This article is 357 days old. Alison von Bodenhausen used to take Lee & Maria’s local produce deliveries for granted – until she found herself staying at Ronald McDonald House Windsor while her baby boy was treated in the neo-natal intensive care unit of Windsor Regional Hospital. Although local community groups worked hard to stock the cupboards of her “home-away-from-home” with dried goods and pastries, Alison says she missed the just-picked fruits and vegetables her young family had grown accustomed to. “As wonderful as it is (and as grateful as I was) there were times when all the baked goods in the world didn’t measure up to a toasted tomato sandwich, or I’d look at a pasta salad and wish it was locally grown kale or broccoli picked that day,” she says. After hearing Alison’s story, Lee & Maria’s reached out to Ronald McDonald House Windsor and a new relationship began to ensure future families have all the comforts of home, including a refrigerator filled with fresh produce picked from local farms. Each week Lee & Maria’s delivers a large bin of produce to Ronald McDonald House Windsor free of charge. The donation is part of the company’s Sponsor A Bin program, which ensures a steady delivery of fresh produce to local non-profit through the generosity of existing delivery customers. “The weekly donation of fresh fruits and vegetables from Lee & Maria’s brings variety, colour and healthy options to the families we keep close. 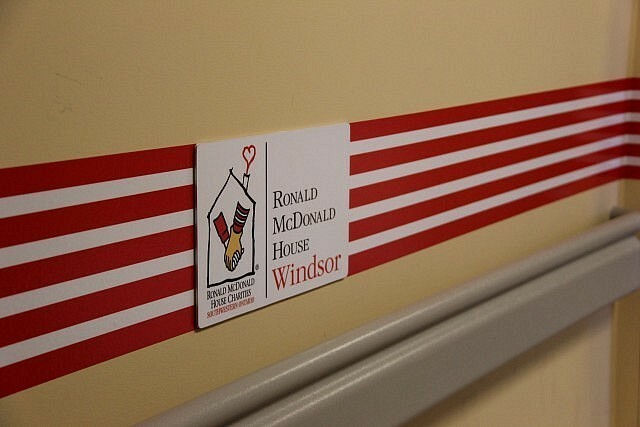 In 2017, 114 families stayed at Ronald McDonald House Windsor and 827 families made over 5,000 visits with the Day Pass program; It is essential that we have a variety of healthy meal options that help these families feel energized and at home,” said Christine Richer, Senior Manager of the Windsor Ronald McDonald House. Lee & Maria’s is a Kingsville farm that began delivering fresh produce to homes across Windsor-Essex in 2012. Today, the service delivers produce, groceries, and meals to over 600 homes across Windsor-Essex and Chatham-Kent each week.